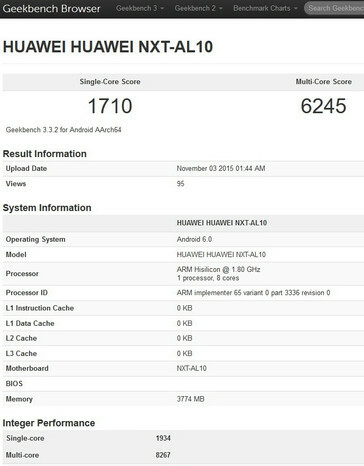 Leaks on GFXBench and Geekbench list the model as NXT - AL10. Huawei has become an unstoppable force in the smartphone world. The Chinese company has joined the ranks of Samsung and Apple as one of the world's top smartphone manufacturers. Huawei is also producing the Nexus 6P for Google. 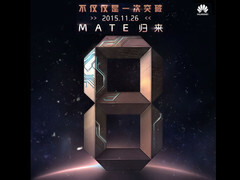 According to a new teaser, the company's upcoming Mate 8 smartphone will be unveiled on November 26 and leaked data on GFXBench and Geekbench have revealed specifications for the device. In short, Huawei will likely announce the Mate 8 alongside the new HiSilicon Kirin 950 octa-core SoC and integrated 16-core Mali-T880 GPU. 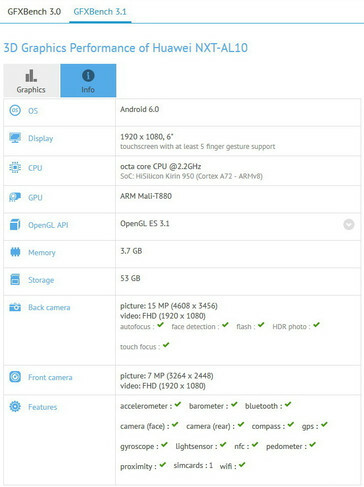 According to GFXBench, the device will carry the model name NXT-AL10 and will launch with Android 6.0 Marshmallow. Other core features include a 6-inch FHD display, 4 GB RAM, 64 GB eMMC, and 16 MP rear and 8 MP front cameras. 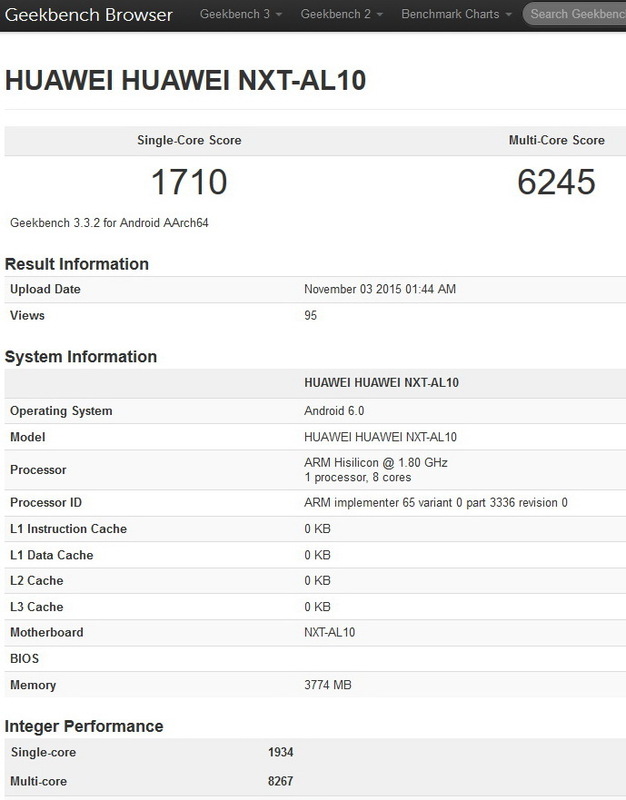 Geekbench shows a multi-core score of 6245 points for the Huawei device, which is well ahead of the Samsung Galaxy S6 Edge and OnePlus 2 at 5619 points and 4804 points, respectively.